Any time we're in need of fresh ways to wear a trend, we turn to our favourite models for guidance. Model-off-duty street style is hands down one of the best sources of style inspiration, and this look from Alana Zimmer is no exception. She brought her slim cropped jeans to the next level with statement sunglasses, a layered turtleneck and sweater, long grey coat, and retro suede ankle boots. Scroll through to see the look and our picks for pulling it off. 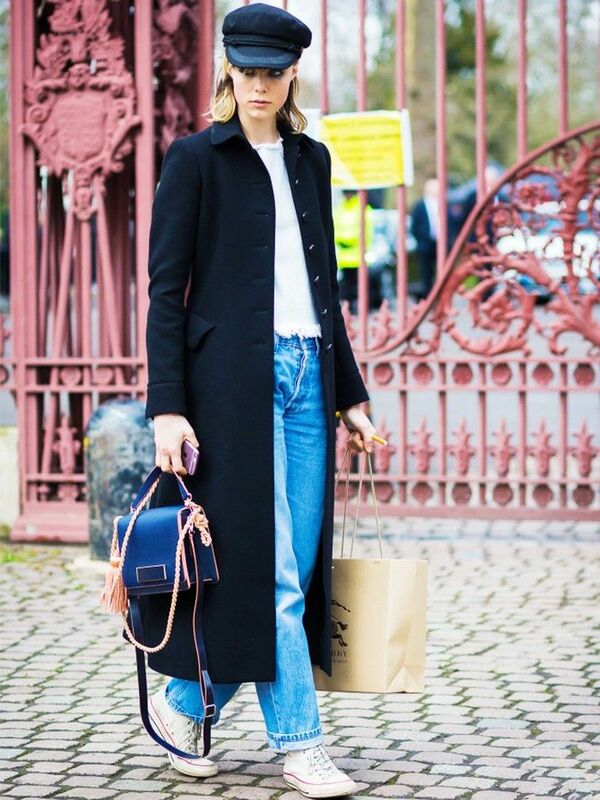 How do you like wearing your jeans right now? Tell us in the comments below!